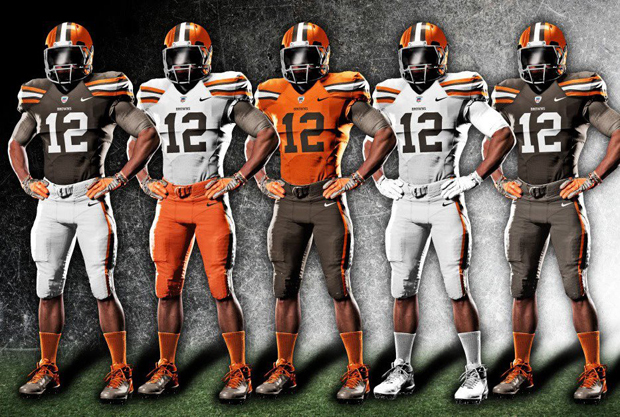 Here in Cleveland, we’re hoping that new uniforms help the Browns win more games in 2015. Spring is an exciting time for sports fans. Baseball is back and the NBA and NHL playoffs are underway. And even though the season is still a few months away, it’s not too early to start thinking about football. The NFL just released the 2015 schedule and, this past weekend, almost 100,000 Ohio State fans packed the Horseshoe to see the Buckeyes play its spring game. But the spring has brought more troubling news about the risk of concussion in athletes, especially football players. According to ESPN’s “Outside the Lines”, former NFL stars and Hall of Famers Tony Dorsett and Joe DeLamielleure have been diagnosed as having chronic traumatic encephalopathy (CTE), a brain condition many scientists say is caused by head trauma. And football isn’t the only sport facing issues related to concussions. A recent study published in the American Journal of Sports Medicine determined that players who sustained concussions experienced a noticeable decline in their performance immediately after they returned to play. Back in October I wrote about the state of concussion research and, in particular, what electroencephalography (EEG) can tell us about brain injury. As we gear up for the 2015 season, this is a good time to revisit concussion research and see what human physiology signals like EEG and electrooculography (EOG) can tell us about brain trauma. Much of the research into concussions seeks to find ways to quickly and objectively identify concussion after a head injury. Detection is especially critical in athletes because head trauma after an untreated concussion can cause further damage and lead to long term cognitive impairments. Research currently underway at the University of Arizona is using EEG to try to detect low-grade concussions. According to researcher Ezra Smith, EEG “is more sensitive than a neurological exam and can be applied more quickly to clear players” after they have sustained a blow to the head. Research has shown that EEG can correctly identify people who have previously suffered a concussion but some scientists are skeptical that EEGs are sensitive enough to detect signs of brain injury immediately following head trauma. And because concussions can affect different areas of the brain, signs of a concussion may not appear on an EEG. Electrooculography (EOG) tracks eye movement and is another potential method for diagnosing concussions. In healthy people, the eyes should move in coordination but in people with brain injury, they can move in different directions. This movement may not be visible to someone observing the patient but could be tracked with EOG. In a study published in the Journal of Neurotrauma, researchers tested EOG on three groups of: patients with brain injuries that were visible on a CT scan; patients with injuries not visible on a scan; and patients without head injury. With the eye tracking data, researchers could identify patients with injury (even those whose injury didn’t appear on CT scans) and those without it. Research into the effectiveness of using EEG and EOG to detect concussions is promising but more research is needed to develop a way to objectively measure brain injury. Several studies are currently underway but a new initiative from the NCAA and the U.S. Department of Defense has the potential to deliver important information that could impact athletes, as well as military personnel. The organizations have partnered to fund a 3-year, $30 million project to track the effects of concussions on student athletes. The goal of the study is to provide data about concussions so that the organization can make better decisions about concussion policies. Ultimately, the challenge with concussion detection is that concussions affect people in different ways and they impact different areas of the brain. Currently, no one assessment can accurately detect brain injury. That’s why research into concussions is so critical – with better knowledge about concussions and how they affect sufferers, we can do more to prevent concussions, treat them and make informed decisions about when affected athletes can return to action. And this research benefits all concussion sufferers, not just athletes. The BioRadio is a powerful solution for research about head injury. It’s a wireless physiology monitor that tracks multiple combinations of signals, most notably, EEG and EOG. 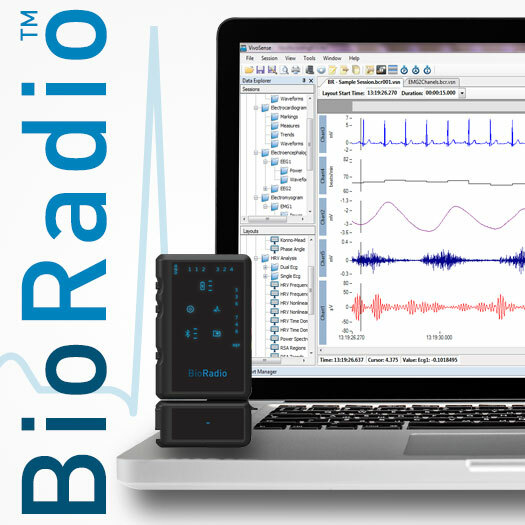 The BioRadio gathers high resolution data that can be stored to internal memory or streamed to a PC. It’s a highly portable solution that goes wherever you need it – the sidelines, locker room, etc. If you would like to discuss the BioRadio and how it can help your research, contact us or email me directly.